Several types of debt are not dischargeable in bankruptcy. Most taxes as well as child support and some other types of family court obligations can not be discharged in bankruptcy, although you may get a temporary reprieve from making payments on these debts while participating in the bankruptcy court process. Luxury goods or cash advances over a certain minimum amount within a few months of filing bankruptcy may not be dischargeable, and most student loans can't be discharged in bankruptcy except in extreme cases of hardship. If your debts are primarily of these nondischargeable types, bankruptcy may not be a useful option for managing your debt load. If you can pay off your existing debts in five years without the assistance of bankruptcy protection, you may not be a good candidate for bankruptcy. Because of its many lasting effects, bankruptcy should be a last resort for debtors after other options have been exhausted. If you can take on extra income-generating work, cut expenses or negotiate payment plans with your creditors to pay off your debts in less than five years while keeping up with bills, bankruptcy is not the best solution for you. If these options are not available or practical for you, then bankruptcy may be a viable path to obtain relief. A personal Chapter 7, or liquidation bankruptcy, allows each debtor to retain certain exempt property, but all other property that is not exempt must be turned over to the bankruptcy trustee for sale to pay off the creditors. When you file Chapter 7 bankruptcy, depending on the state, you may choose between the federal exemptions list or the list set by your state's laws. In general, Chapter 7 filers can exempt a portion of the equity in their home, a modest-priced motor vehicle, a small amount of personal property, household goods and furnishings, tool of the trade like plumbing or electrician tools, plus an allotment for miscellaneous property, often referred to as the "wildcard" provision. If these exemptions do not adequately protect the assets you wish to retain and you have a regular source of income, you may be a good candidate for Chapter 13 bankruptcy, which allows the debtor to keep most assets if he can commit to a payment plan. It is illegal to discriminate against employees or potential employees for most positions due to bankruptcy, but it might still have a negative effect on your career. Many employers require a credit check as a condition of hiring. Bankruptcy can act as a red flag that plays a role in that hiring decision, although a potential employer may find other reasons to reject an employment applicant to meet the requirements of law. Anyone engaged in a high-level financial position, especially one involving lending, may find his career negatively affected by bankruptcy. 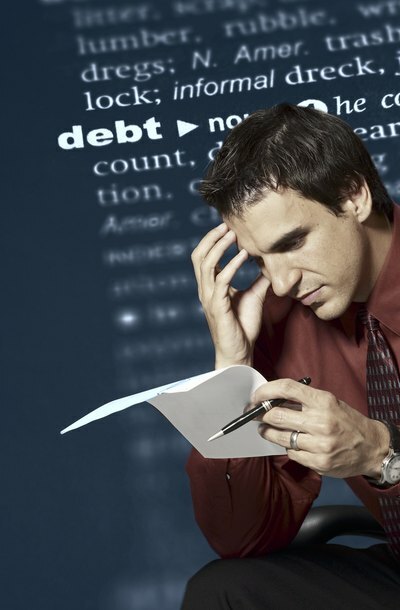 Bankruptcy may trigger a closer look into the debtor's financial management in military or military contractor families, and security clearances may be adjusted or removed if the bankruptcy indicates fiscal irresponsibility rather than a reasonable choice under unavoidable circumstances like unemployment or medical debt. Charleston Bankruptcy Blog: Will Bankruptcy Affect my Security Clearance?